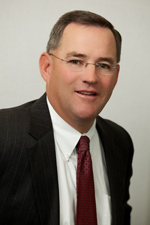 Tom has 35 years of experience in the financial services field. He provides wealth management to a select group of high-net-worth individuals in a variety of fee-based programs as an Investment Adviser Representative with Commonwealth Financial Network®. He also manages investment programs for numerous business retirement plans and he has achieved his Accredited Investment Fiduciary® (AIF®) designation. He resides in Holden, MA, along with his wife of 30+ years, Cyndi, and their children: Bryan, Erynn, Connor, and Kailee. Cyndi and Tom are devoted parents who do not miss any activities of their kids! Beyond the business, Tom is an avid sports fan. He has coached baseball for 20 years at various levels, from Little League to college. Previously, he served on the board of the New England AAU Baseball and was tournament director for three years. During this time, he had the privilege to coach two state-title teams. Also an accomplished golfer, Tom has qualified for the Massachusetts State Amateur Championship on three occasions and is a proud member of Worcester Country Club. Thomas McDavitt is proud to have been recognized as a Summit Club advisor for 2015—a distinction that places him among the top 23 percent of advisors affiliated with Commonwealth Financial Network. 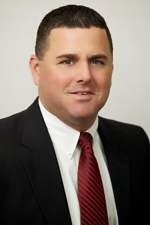 A 1994 graduate of Assumption College, Steve has 17+ years of experience in the investment and insurance field, having worked for Fidelity Investments prior to starting Santucci Financial Services in 2000. In 2009, Steve formed Santucci Wealth Management and merged offices with Tom McDavitt of McDavitt Wealth Management. As an Investment Adviser Representative of Commonwealth Financial Network®, Steve currently manages assets for individuals, families, and small business retirement plans with an emphasis on service. He holds the Accredited Investment Fiduciary® (AIF®) designation. Steve resides in Leominster, MA, along with his wife of 18 years, Stephanie, and their children: Jonathan, Gabriella, and Isabella. A former All-American baseball player at Assumption College, Steve was drafted in 1993 and spent four years in the St. Louis Cardinal’s farm system. Steve remains active in baseball through coaching and running baseball camps during the spring and summer. Steve R. Santucci is proud to have been recognized as a Business Experience advisor for 2018—a distinction based on annual production that places him among the top 47 percent of advisors affiliated with Commonwealth Financial Network. 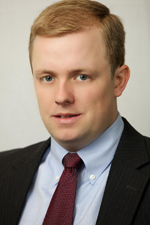 A 2005 graduate of Bryant University, Aaron has 13 years of experience in the investment and insurance field. Aaron joined McDavitt Wealth Management in 2006 primarily in the role of support staff for the practice. Since 2008, he has been building his business managing assets for individuals, families, and small business retirement plans as an Investment Adviser Representative of Commonwealth Financial Network®. He also has achieved his Accredited Investment Fiduciary® (AIF® ) designation. Aaron resides in Holden, MA with his wife Steph, dog Sydney and cat Maizie. Aaron currently volunteers as a coach for the Minuteman Flames and previously has coached lacrosse for six years at the high-school level. Aaron is also active in local sports and recreational activities in and around the Worcester area. During the winter Aaron also devotes much of his time to volunteering with Youth Enrichment Services (YES) to teach Boston youth how to ski and enjoy the outdoors. 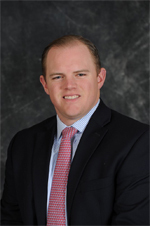 A 2007 graduate of Tufts University, Bryan joined McDavitt Wealth Management in February 2014, taking a role as part of the support staff under Tom, Steve and Aaron as well as looking for new client opportunities. Bryan enjoys working with young professionals, newlyweds, recent graduates, family businesses and multigenerational families. Prior to joining MWM, he spent two years at Team IMPACT, a Northeast-based nonprofit whose mission is to help improve the quality of life for children battling life threatening and chronic illnesses. Bryan’s career started in 2007 at Interactive Data, a financial data services company, gaining valuable experience in general market data, pricing, and research during his 4+ years there. Bryan lives in West Boylston with his wife Megan. He coaches football at Abbey Kelley Charter School in Worcester. He is an avid Boston sports fan and enjoys golf, traveling, and spending time with his family and friends. Julie joined McDavitt Wealth Management & Santucci Wealth Management in 2011 as a part-time administrative and operations assistant. Prior to joining the firm, Julie had 15 years of experience in the financial services industry with Putnam Investments in the service and operations department and with Morgan Stanley in a similar role. Julie grew up in Boston, MA, and now lives in a small town south of Worcester with her husband, Mike; daughters, Sara and Kayla; and son, Shea. 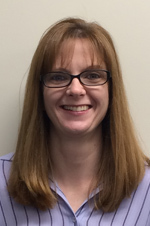 In her spare time, Julie enjoys watching her children play basketball, soccer, and volleyball, and she serves as an assistant JV basketball coach for her town’s high school. When not at sporting events or various activities for her children, she enjoys shopping, painting, and decorating, as well as spending time with family and friends.